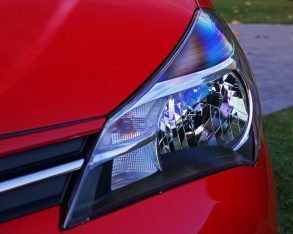 especially in the car industry. 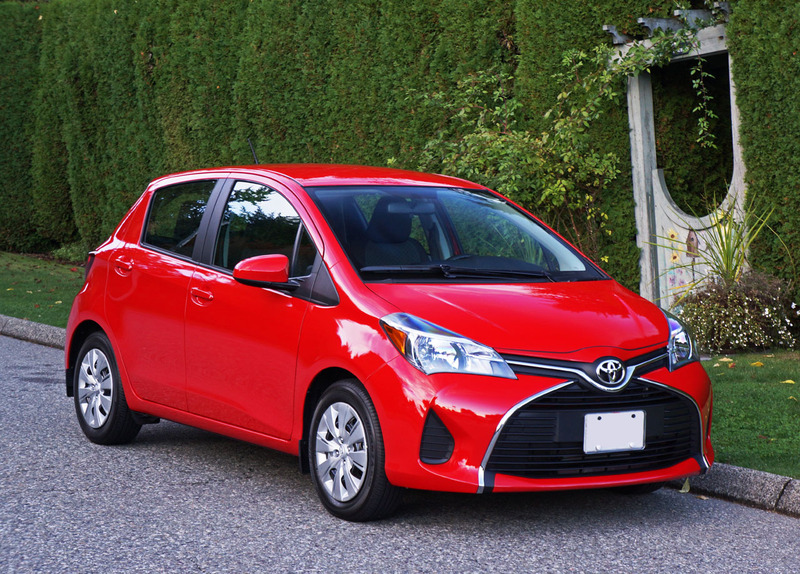 As long as I can remember, Toyota Canada’s smallest offering was built in Japan. 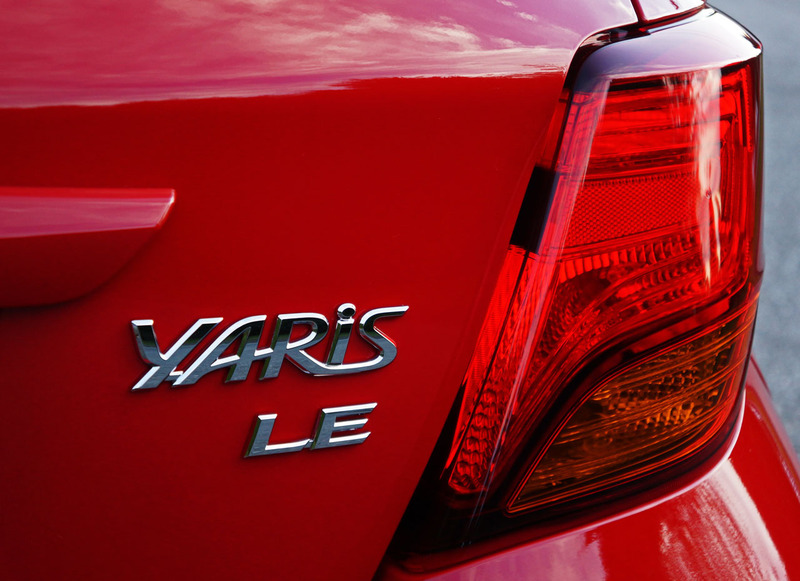 Whether we’re talking Tercel, Echo or Yaris, such has been the case. 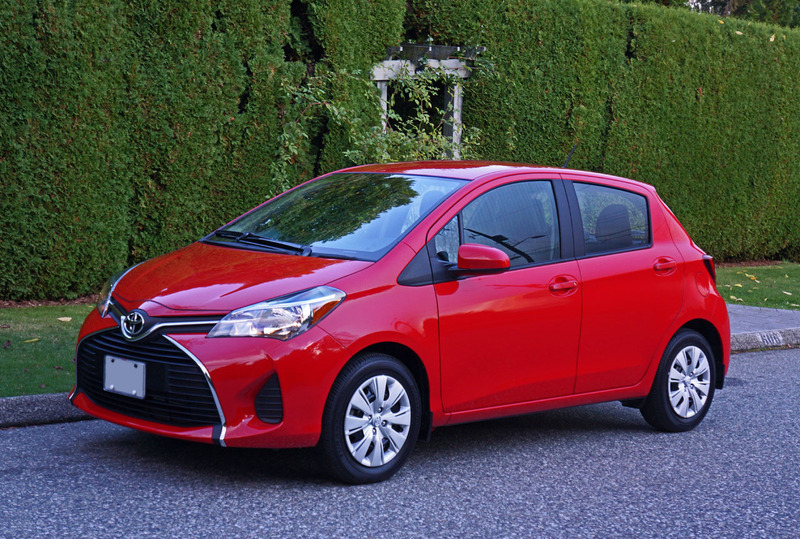 For 2015, however, a new edgier looking Yaris will be shipped across the Atlantic instead of the Pacific. 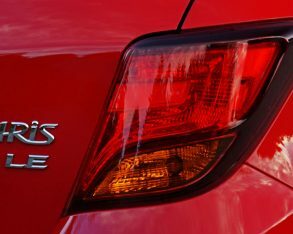 The new 2015 Yaris Hatchback was penned at Toyota’s European Design Centre in Sophia Antipolis near the beautiful Mediterranean city of Cannes in southern France; developed at the Japanese automaker’s European Product Planning Department in Brussels, Belgium; and is now built just across the Belgian border in the northern French city of Valenciennes, before being shipped worldwide. 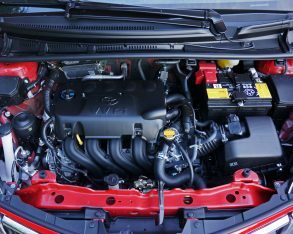 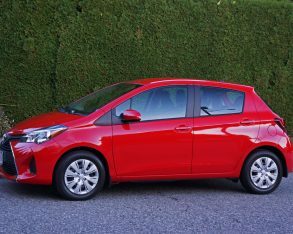 So other than most of the mechanicals that lay beneath its dramatic new front fascia, the Yaris Hatchback is mostly European. 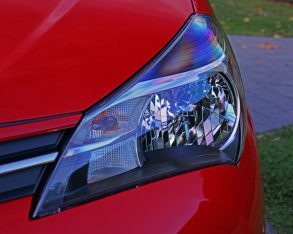 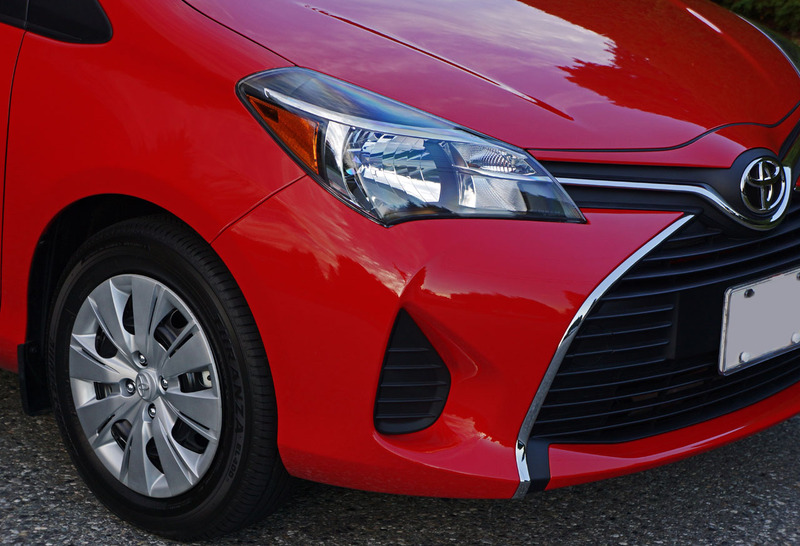 one look is all it takes to see that the new 2015 Yaris Hatchback is unlike anything Toyota has previously offered in the subcompact range. 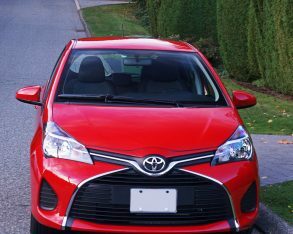 Maybe I should have stipulated just one look from the front half, because from the profile or rear it’s nothing more than an attractive albeit nondescript little hatchback, yet from the front its big overarching “X” marks the spot design, much more apparent with the base CE and my LE tester’s chromed lower trim than the sportier SE’s darkened piano black accents, really makes a statement. 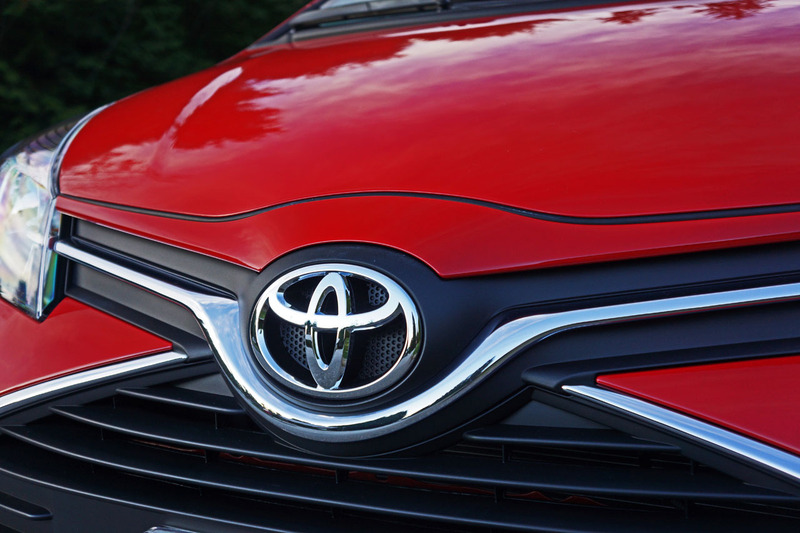 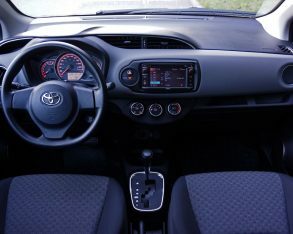 Its styling pulls elements from the sportiest new Corolla S and upcoming 2015 Camry, although the Europeans have pushed traditional comfort zones for a design that will likely be more polarizing than anything Toyota has ever offered in this class before. 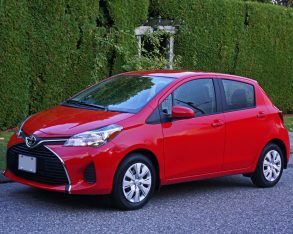 like it, especially in new SE trim, but I wouldn’t recommend a new Yaris because it stands out from an often-mundane subcompact crowd. 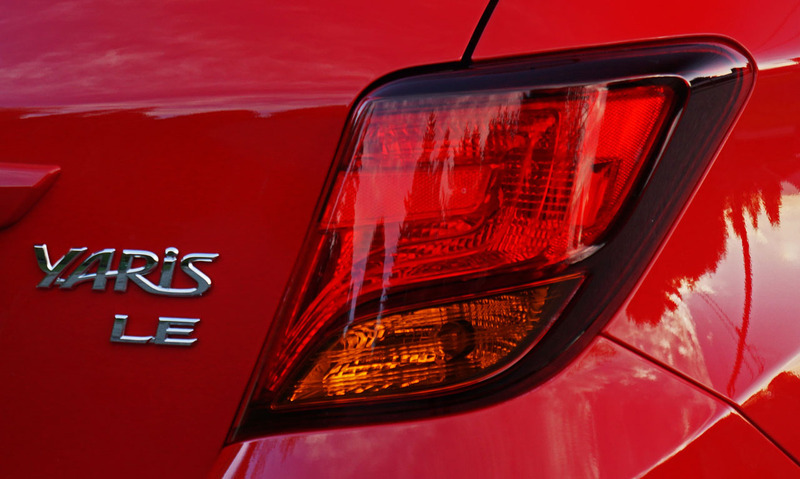 Rather, I’d tell you to seriously consider it because it’s so incredibly reliable. 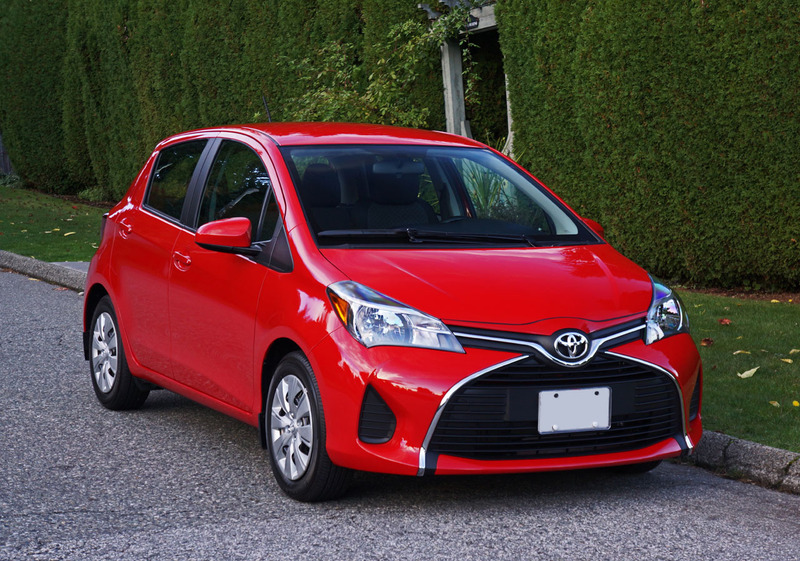 If you want to make sure that you, your significant other, your son, daughter, parents or whoever you buy it for never ends up stuck beside the road with car trouble, a Yaris is a very good bet. 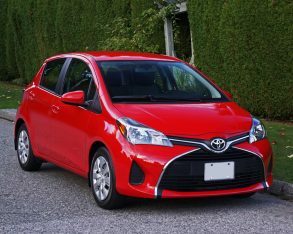 Toyota’s pitch for the previous generation Yaris was “Epic Reliability,” and being that most everything that can’t easily be seen, including all that’s under the hood, is carryover from a generation that already carried it over from the previous generation, any demons that could be exorcised out of the car are ghosts from the distant past. 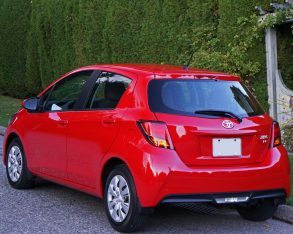 Of course, my ghost reference is only used for fun during this Halloween season because the Echo that came before might only be one-upped in dependability by the Tercel that previously paved the way, Toyota having built a much deserved reputation for absolutely rock solid reliability in this segment. 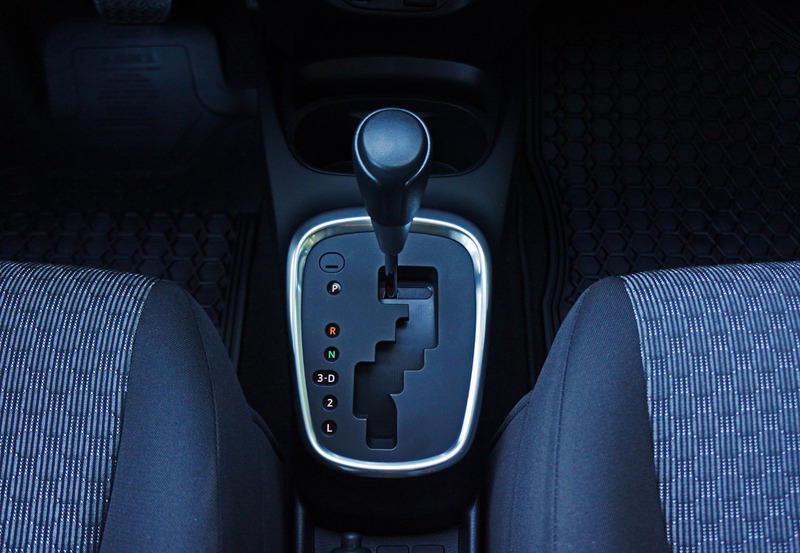 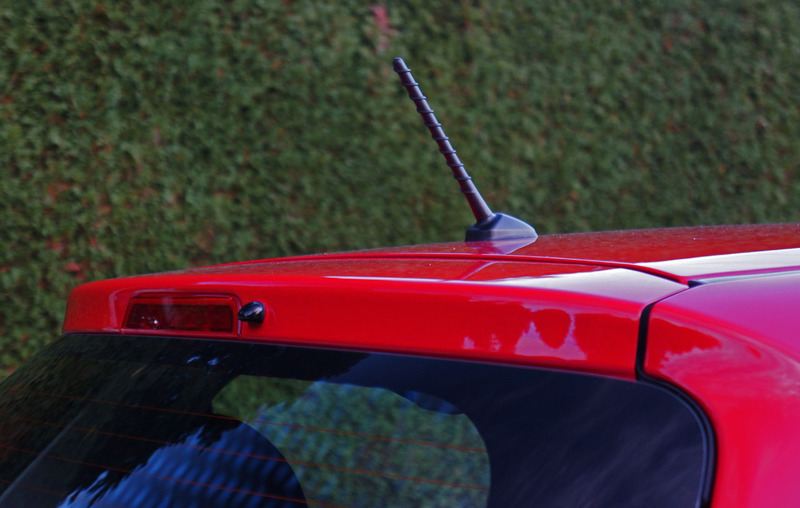 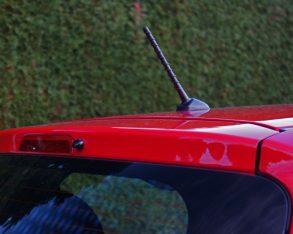 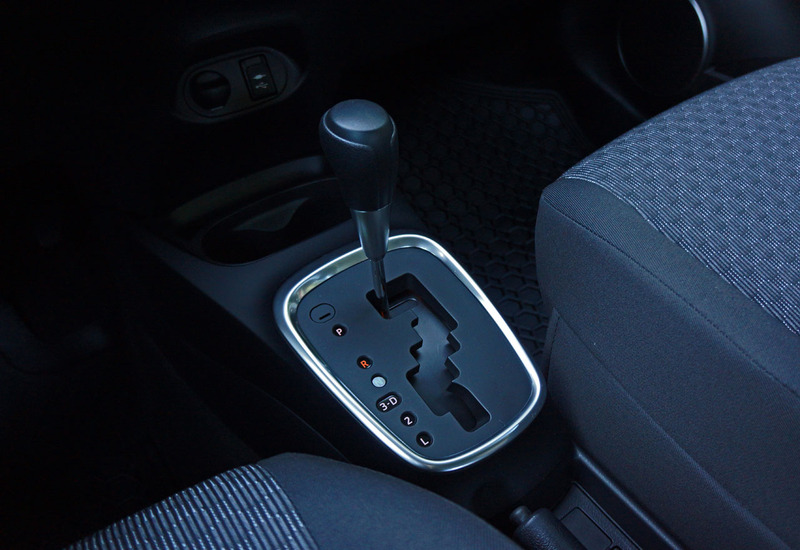 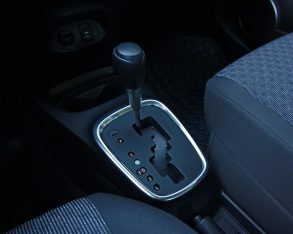 it’ll sling itself into corners with ease, maintaining a lot more control than most of its subcompact peers. 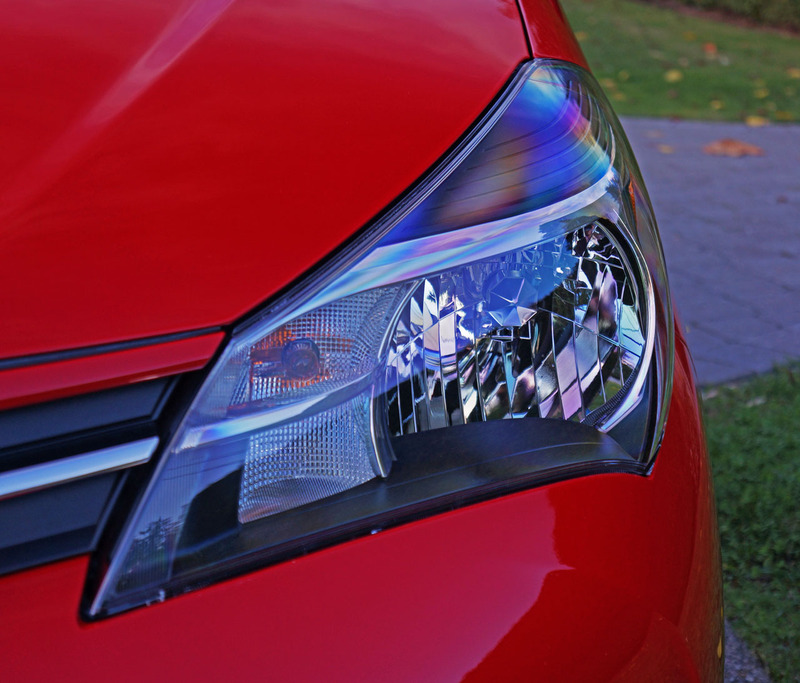 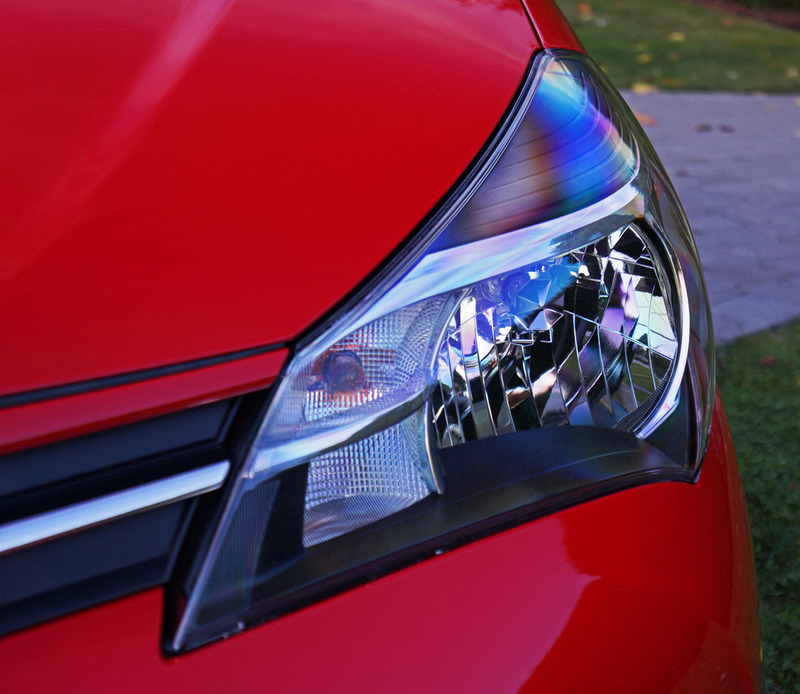 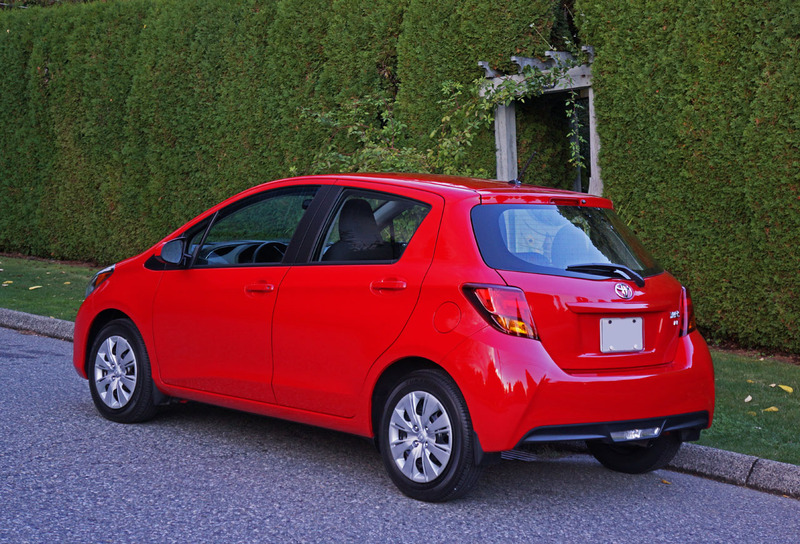 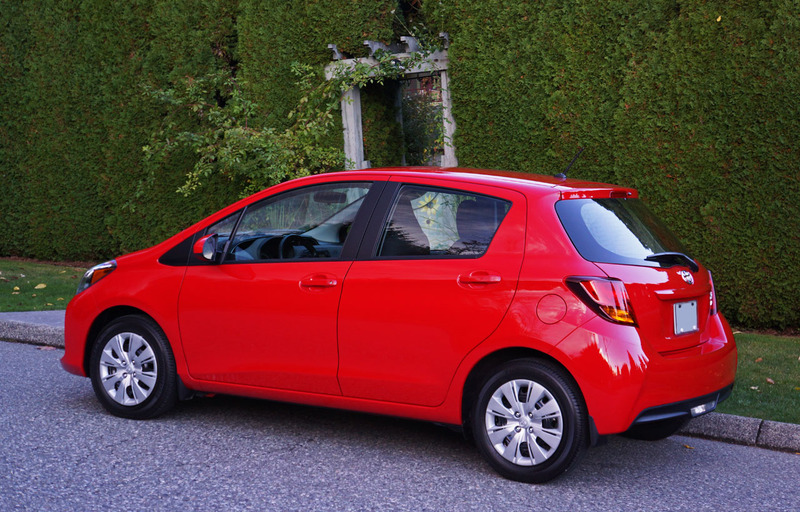 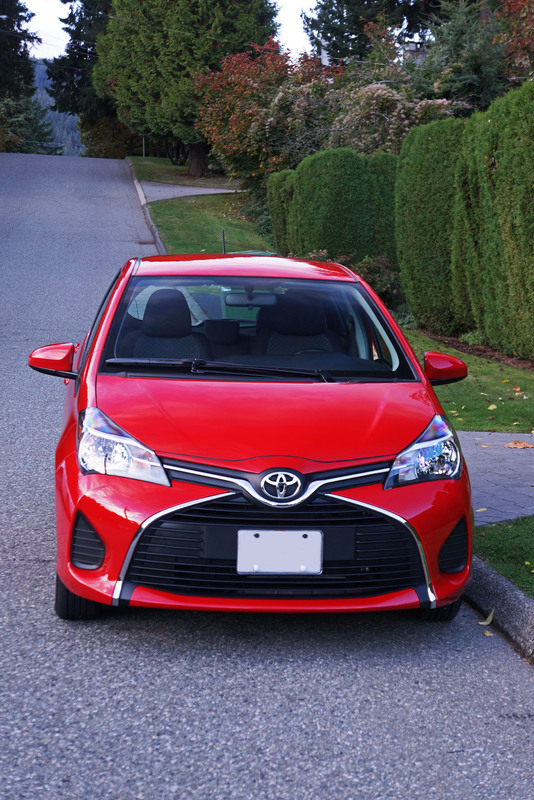 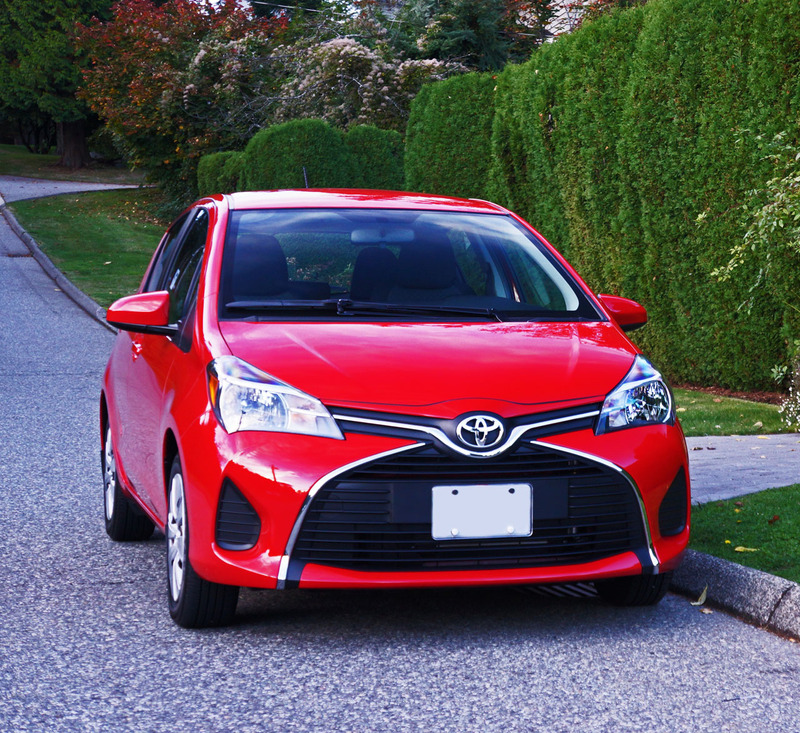 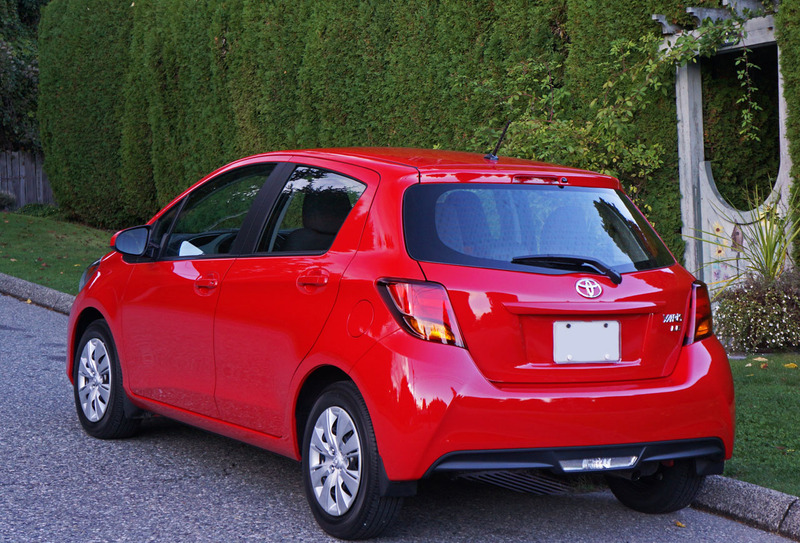 From a driving perspective, there’s a lot to like about the Yaris Hatchback. 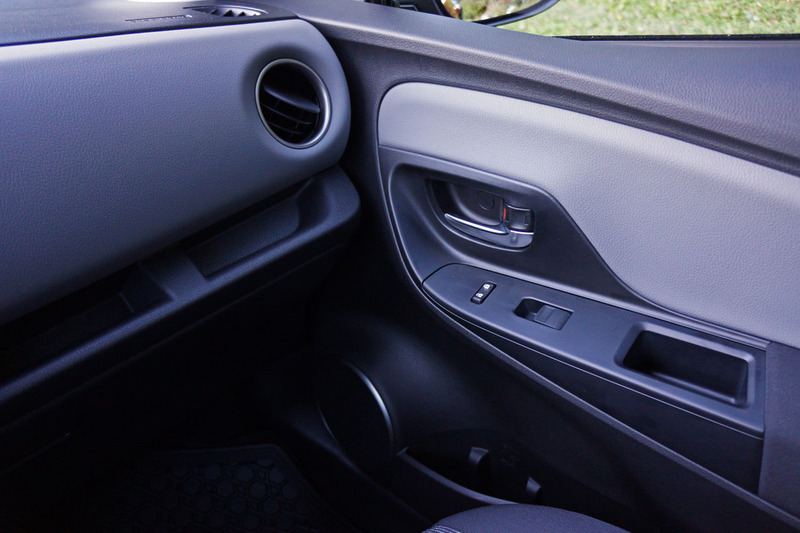 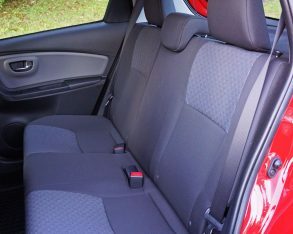 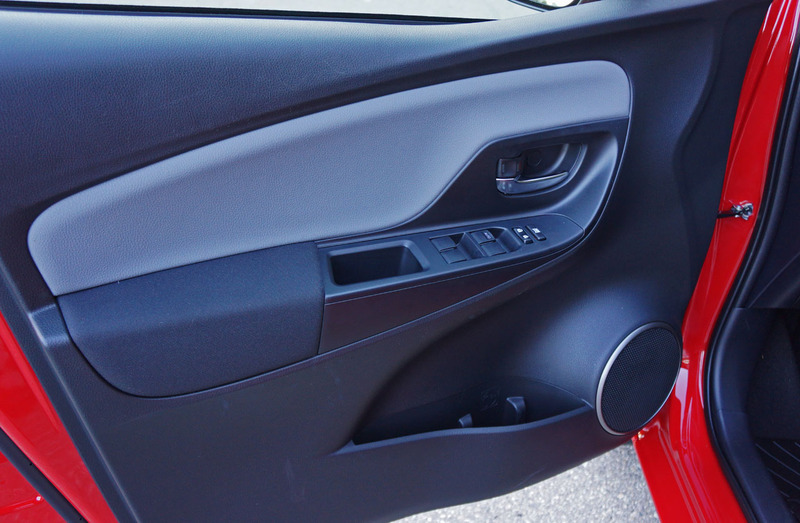 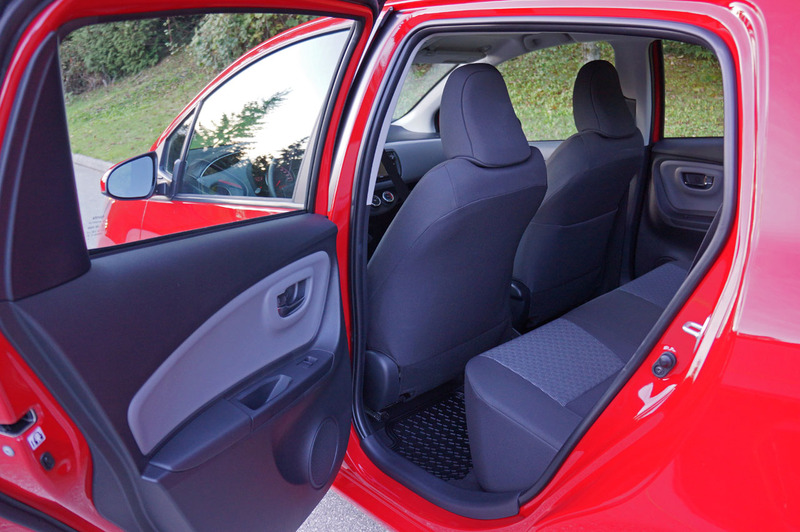 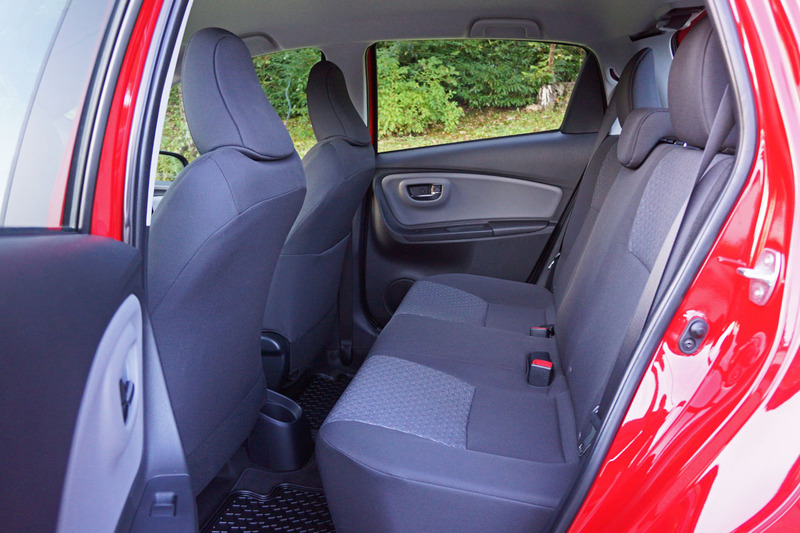 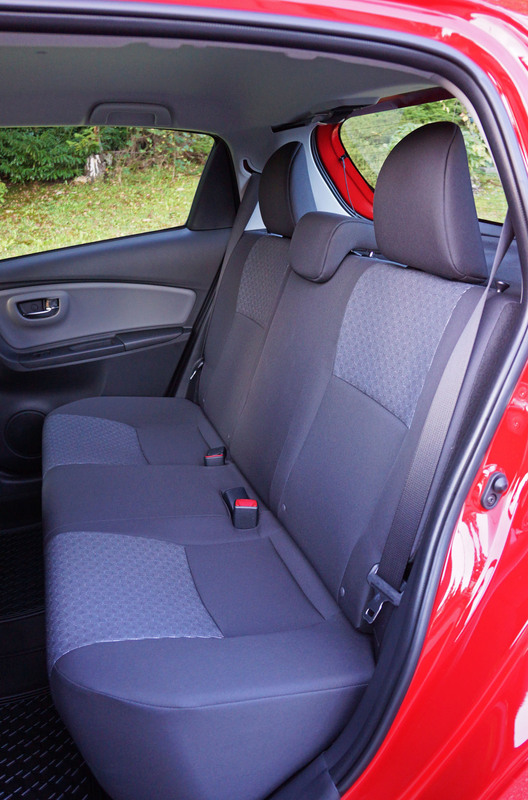 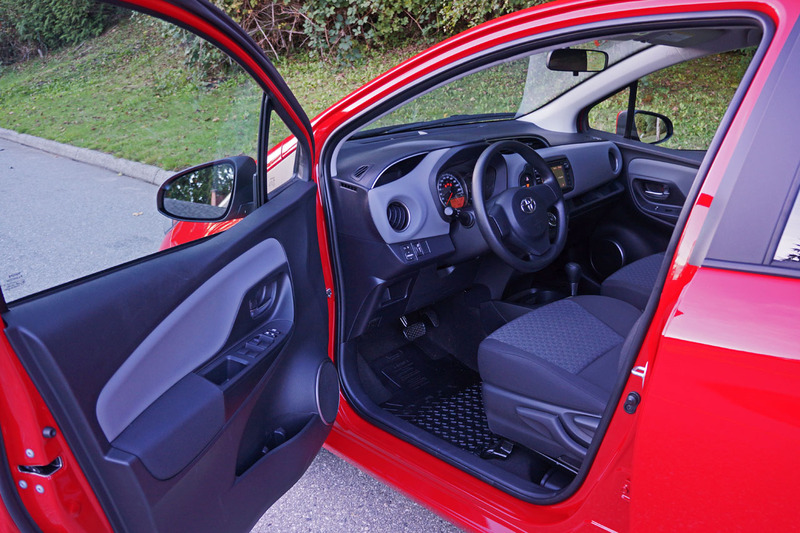 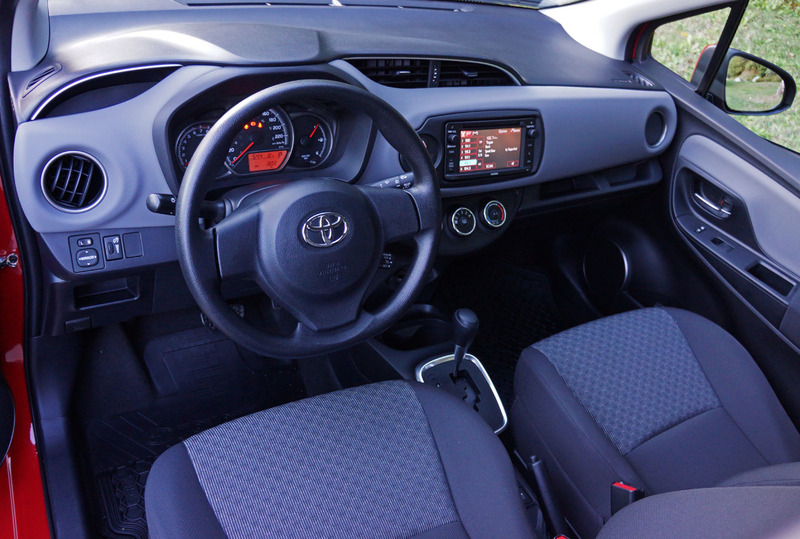 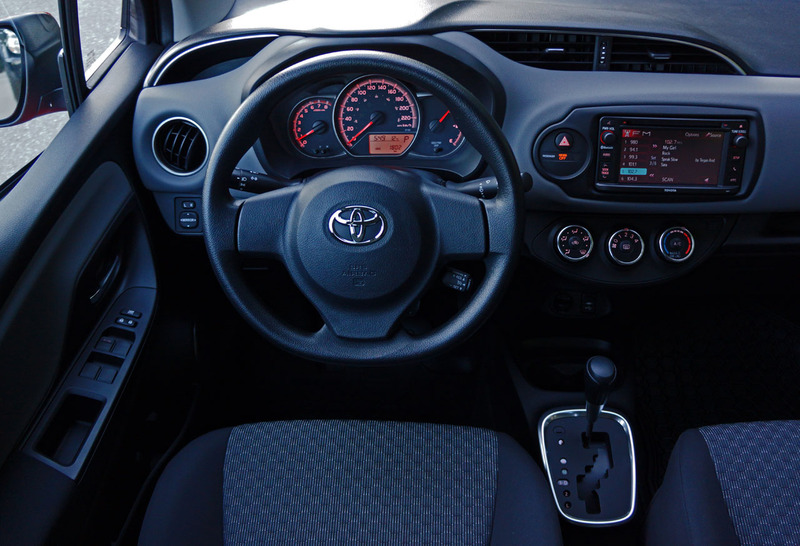 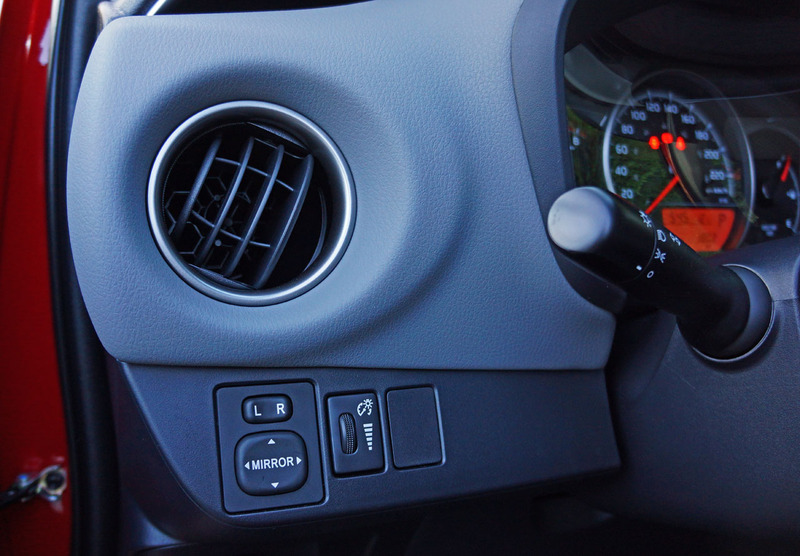 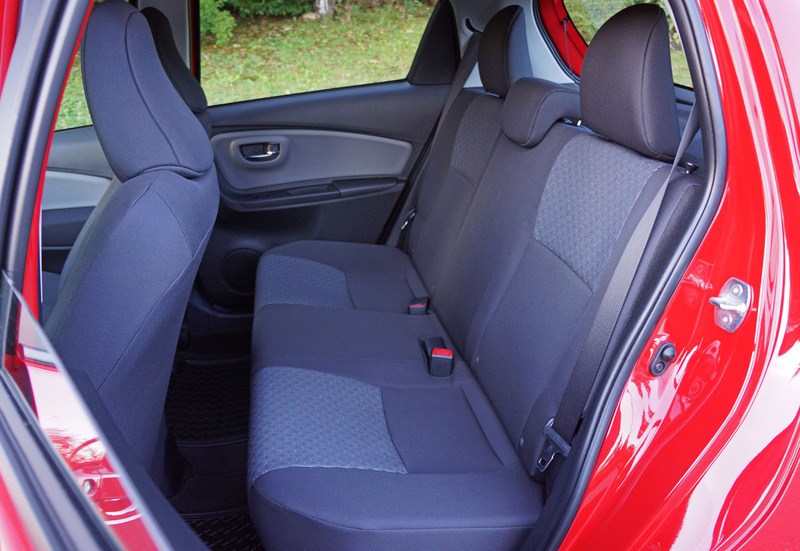 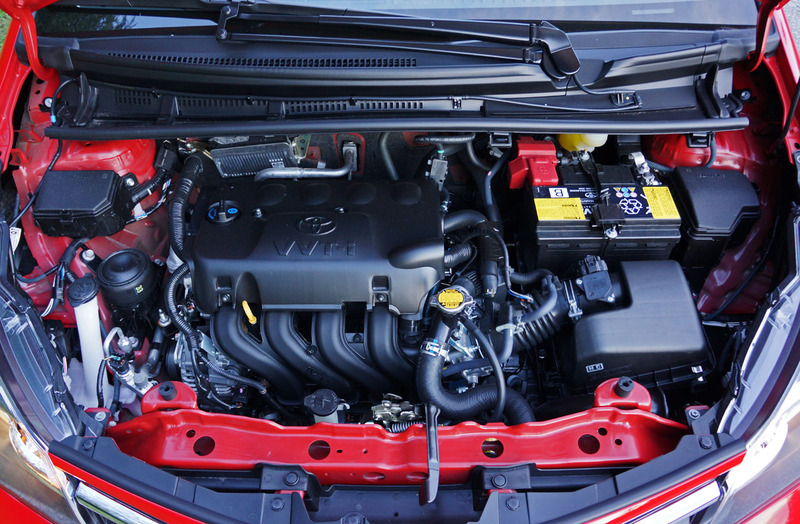 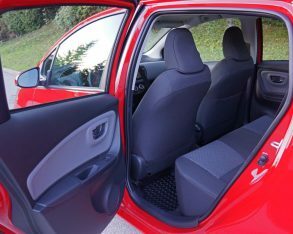 Like the drivetrain, the Yaris’ interior doesn’t try to wow you with uncalled for luxuries or fancy seating systems. 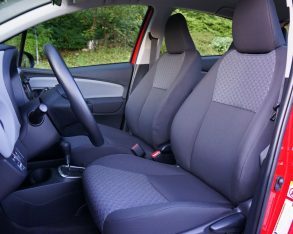 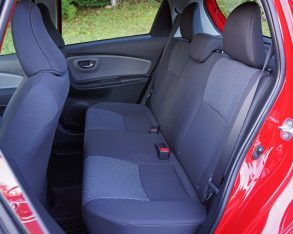 It’s a pretty straightforward design, with comfortable front seats boasting plenty of room, especially good for taller folks, while the rear seats are also roomy and supportive. 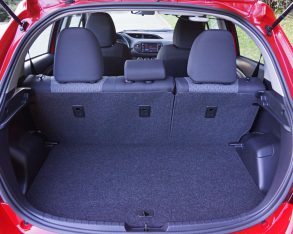 Its basic layout includes 60/40 split-folding rear seatbacks that fold almost entirely flat (they rise up a bit on their way forward), increasing its cargo capacity from 286 litres (10.1 cubic feet) to a very accommodating 768 litres (27.1 cubic feet). 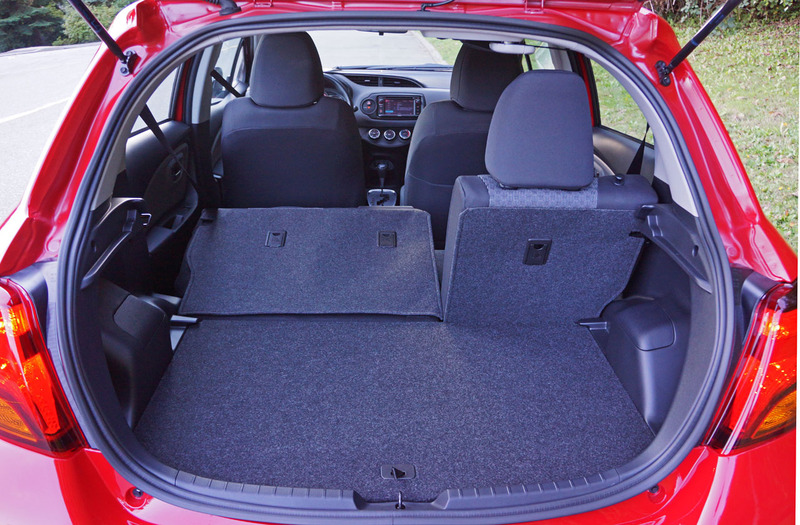 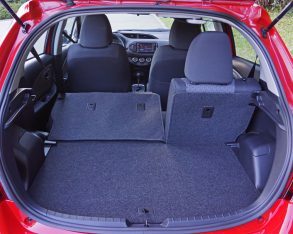 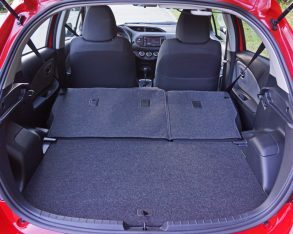 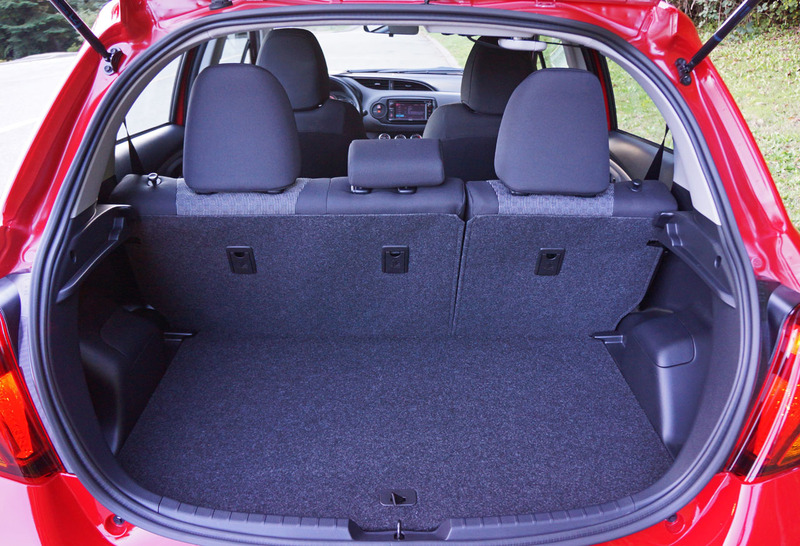 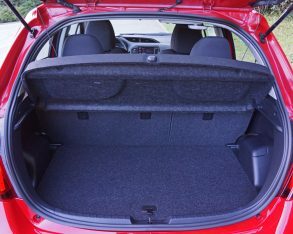 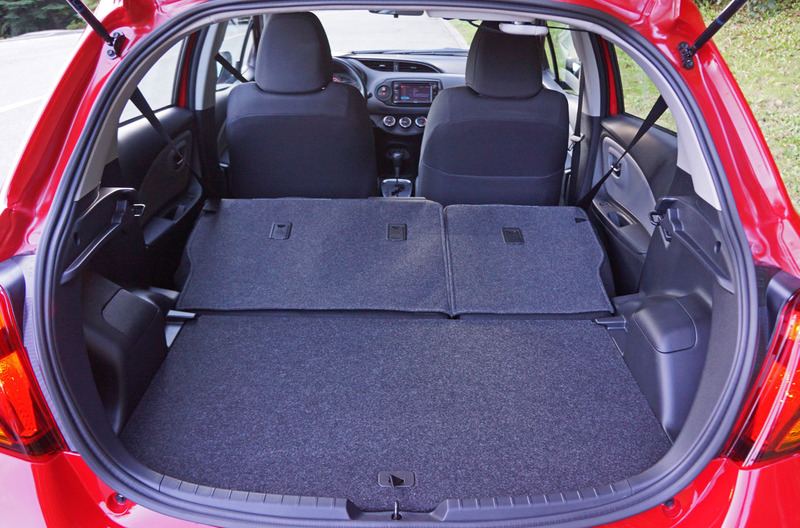 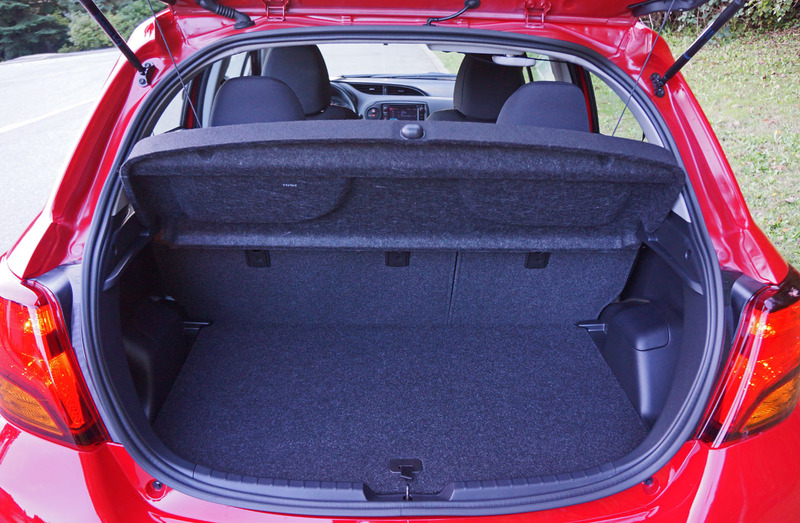 This isn’t the most luggage space in the subcompact segment, but it’s not the least either. 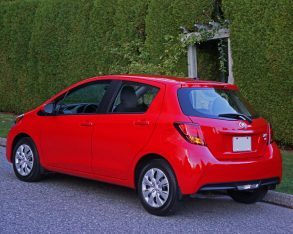 brings up an important point, while some small hatchback models call themselves subcompacts, in reality they’re larger and therefore fall into the compact category. 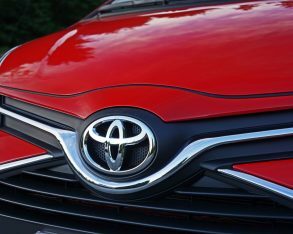 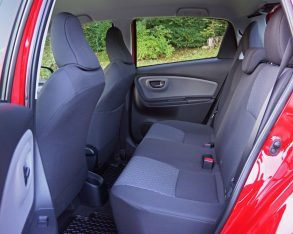 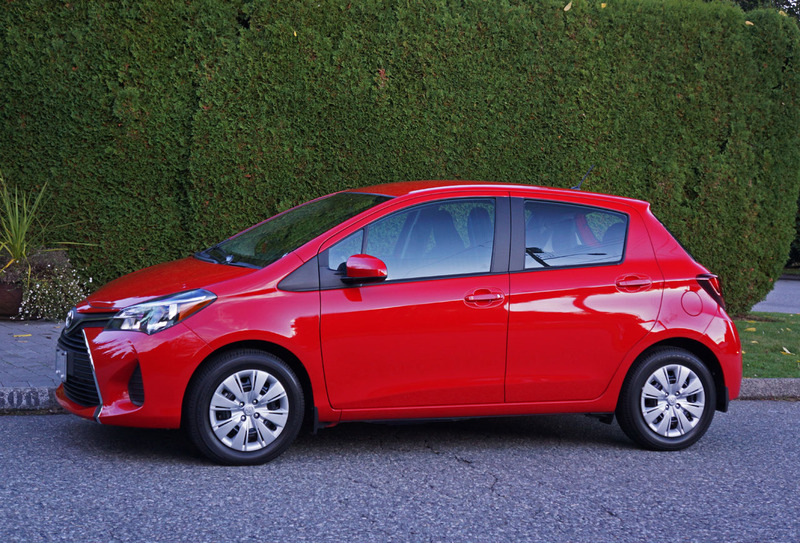 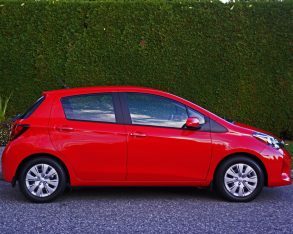 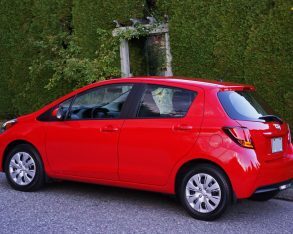 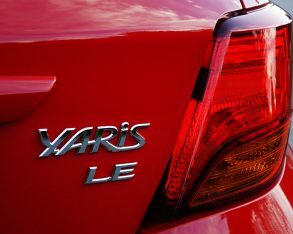 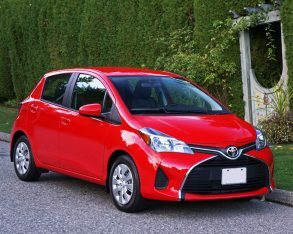 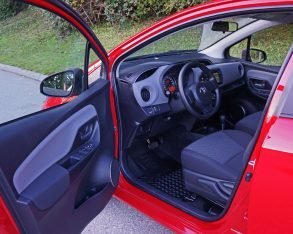 These might be a good choice if you’re looking for more size for the money, but if you’re looking for a smaller car that delivers easier drivability in the city and more manageability in tight parking lots, plus the fuel economy that goes along with a truly small subcompact, the Yaris might be a better fit. 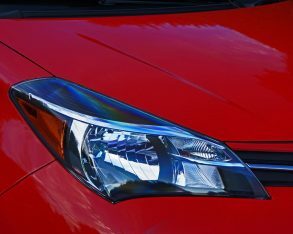 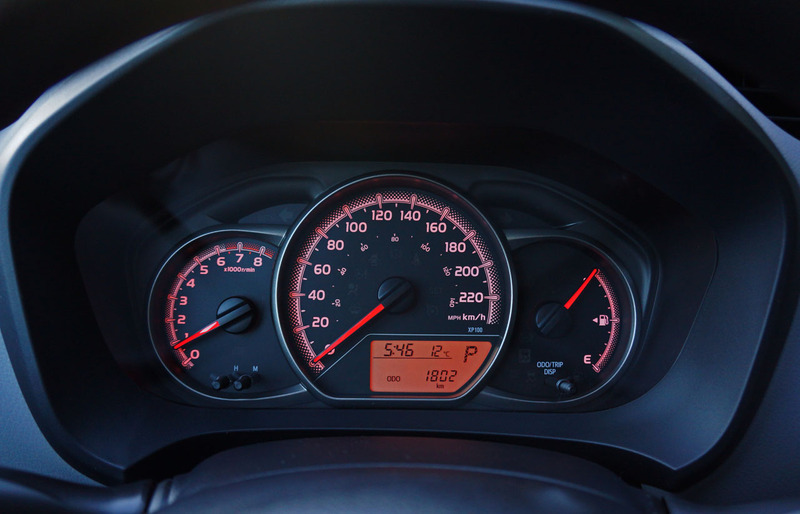 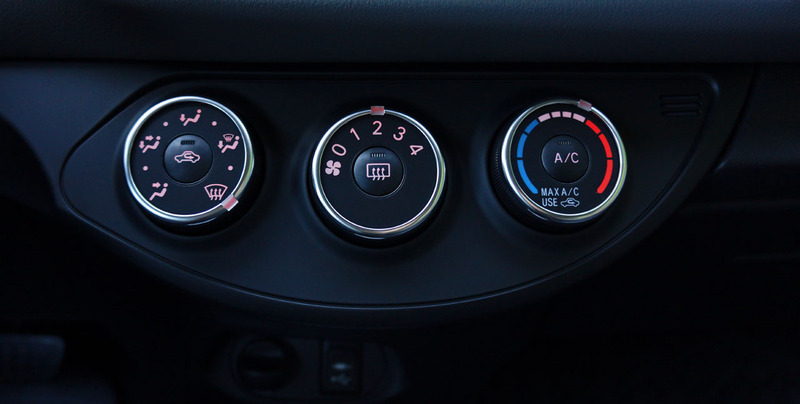 make sure the car you’re looking up is a 2015 model or its numbers will be based on the old unrealistic two-cycle testing process. 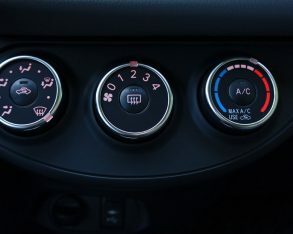 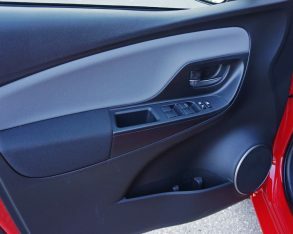 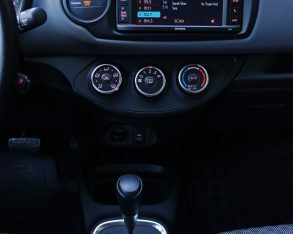 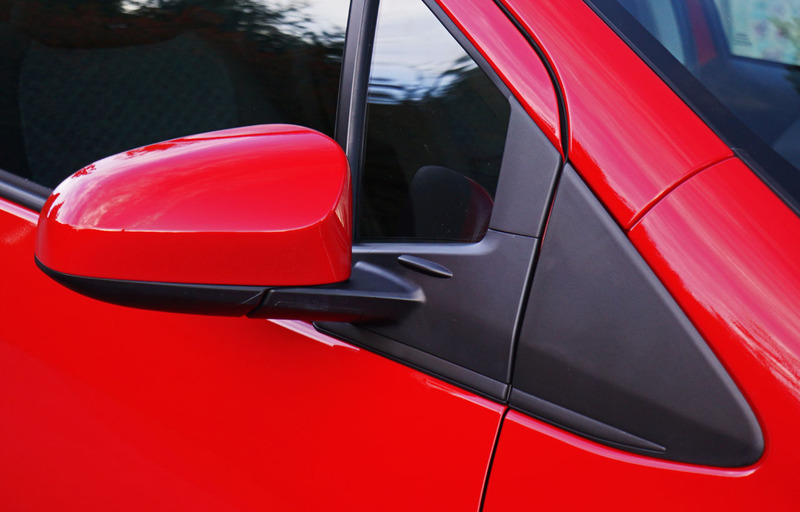 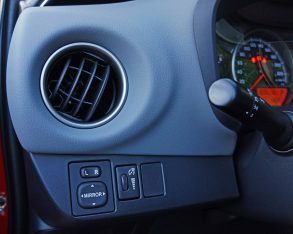 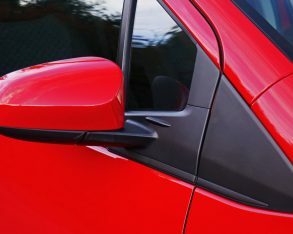 door handles, and three-spoke tilt steering wheel, four-speaker AM/FM/CD/MP3/WMA 6.1-inch display audio system with aux and USB inputs plus Bluetooth connectivity, as well as the same multi-information display, digital clock, power windows, power door locks, all-season floor mats, tinted glass, colour-keyed bumpers and exterior door handles, rear window wiper/washer with misting, plus with automatic equipped cars an Eco meter for helping you reduce fuel consumption. 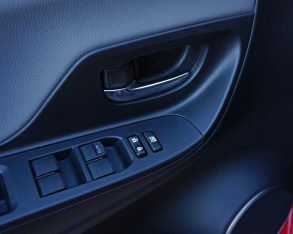 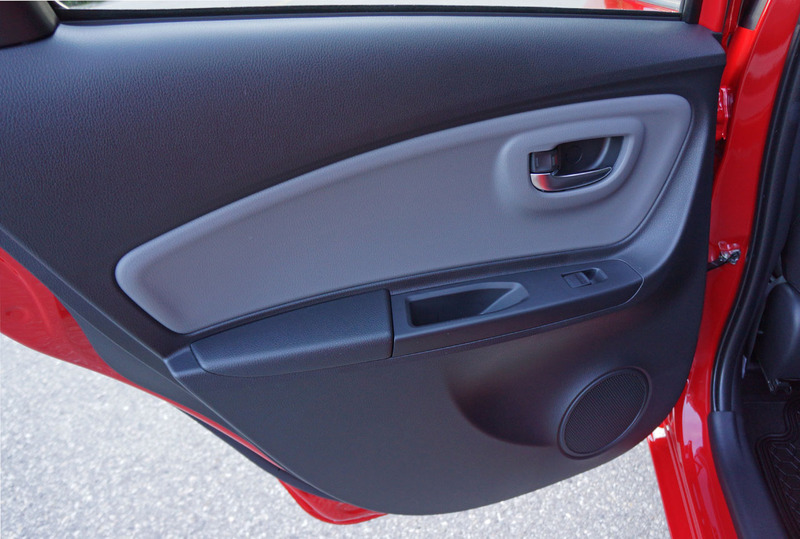 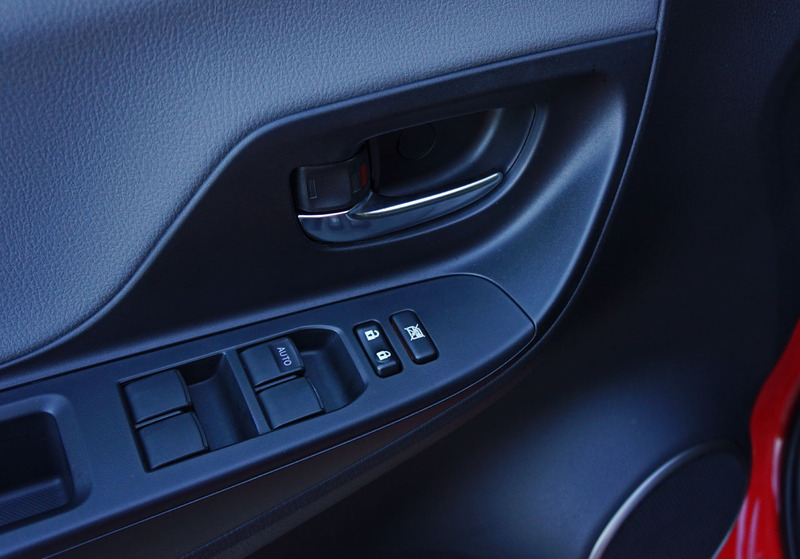 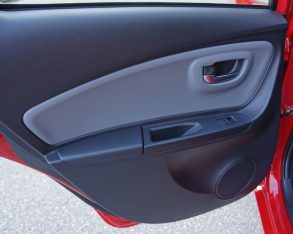 The LE adds another set of rear doors plus standard remote keyless entry, tachometer, air conditioning, cruise control, and power adjustable colour-keyed and heated side mirrors. 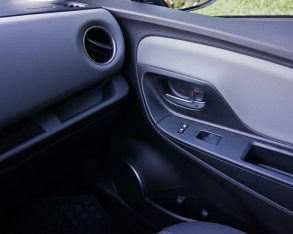 style headlamps with LED daytime running lights, fog lamps, a rear spoiler, rear disc brakes for enhanced stopping power, and an intermittent rear window wiper, while inside it benefits from a leather-wrapped steering wheel with audio controls, a leather-clad shift knob, sport seats upholstered in special fabric, plus two additional stereo speakers. 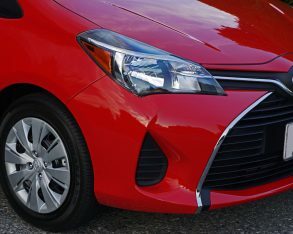 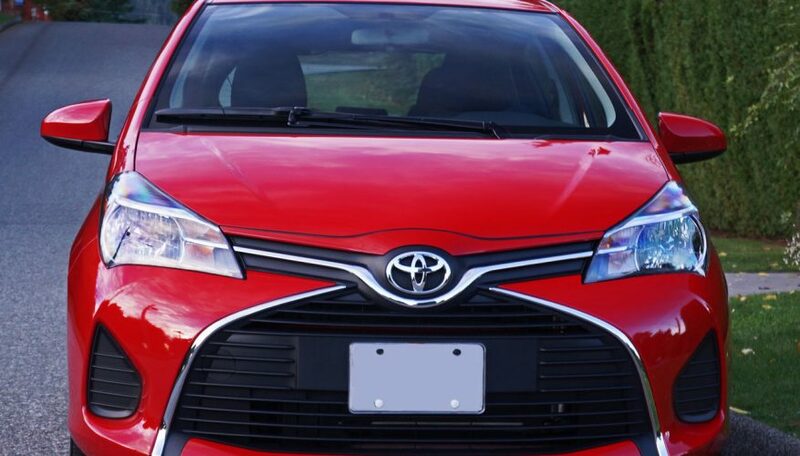 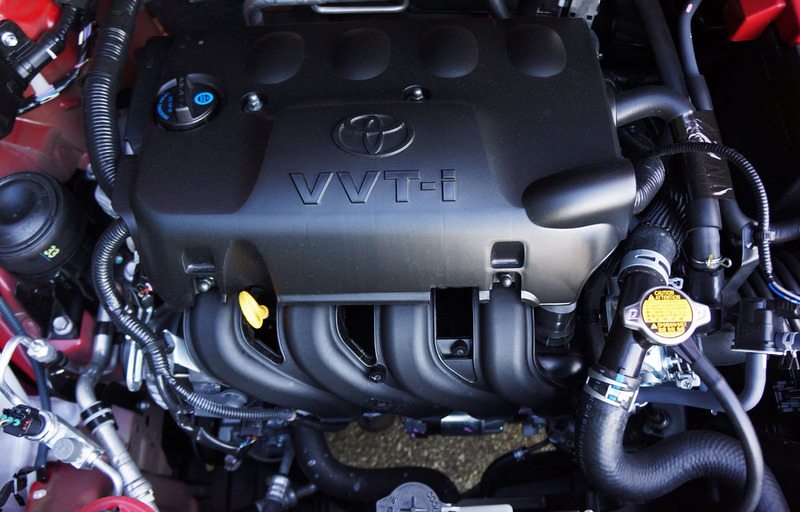 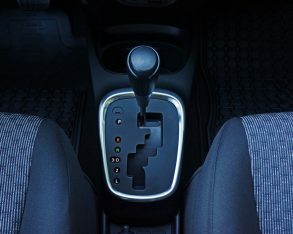 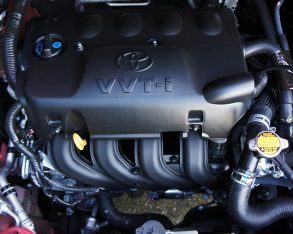 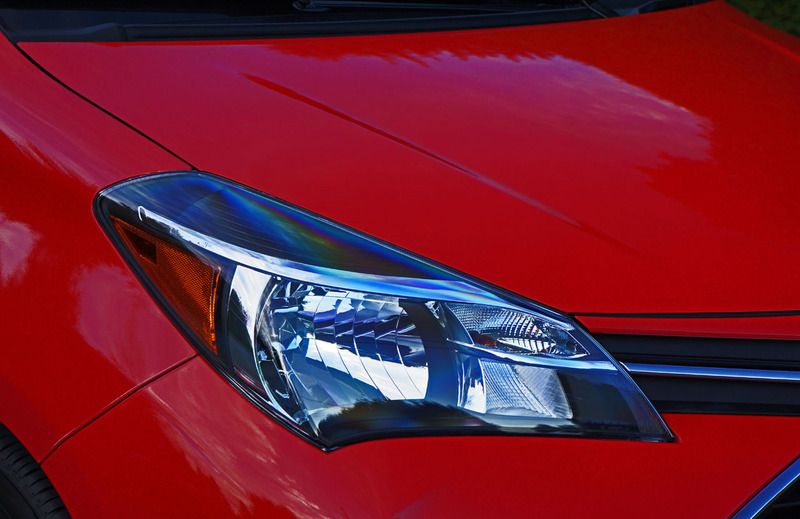 All Yaris models come standard with a comprehensive list of standard safety features as part of Toyota’s Star Safety System, including ABS-enhanced brakes with electronic brake-force distribution and brake assist, plus vehicle stability control, traction control and Smart Stop Technology (SST), which cuts power to the engine during panic braking. 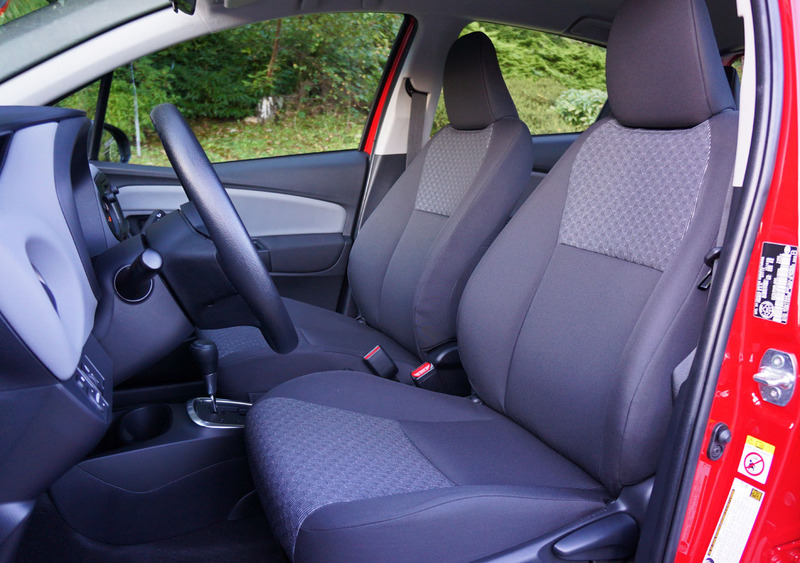 Additionally, a full assortment of airbags even includes one for the driver’s knees. 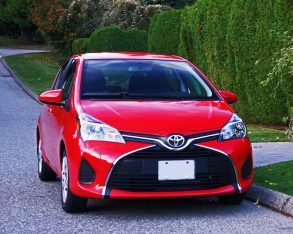 for the 2015 Yaris Hatchback starts at $14,545 for the base 3-Door CE, and rises to $15,965 for the 5-Door LE with a manual gearbox. 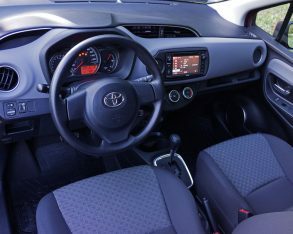 My LE automatic starts at $16,965, while the sporty SE retails for $17,665 for the manual and $18,665 for the auto, with all models subject to a freight and pre-delivery prep charge of $1,720. 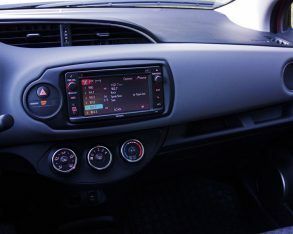 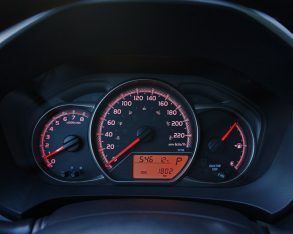 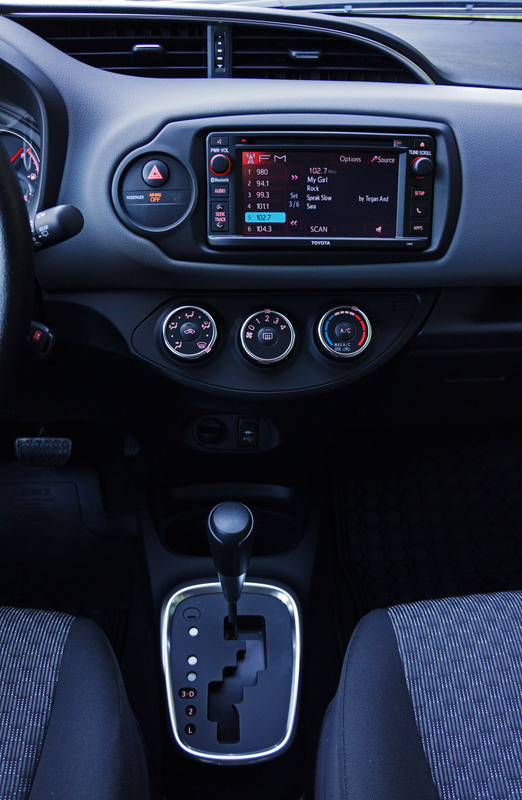 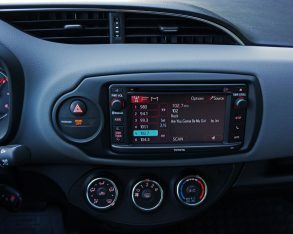 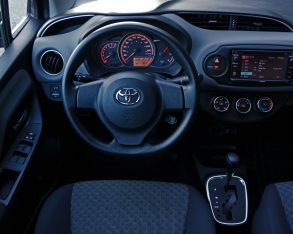 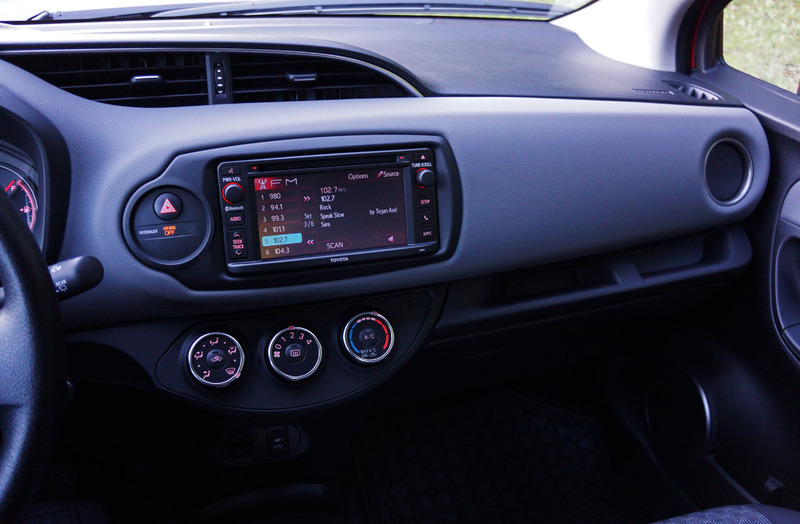 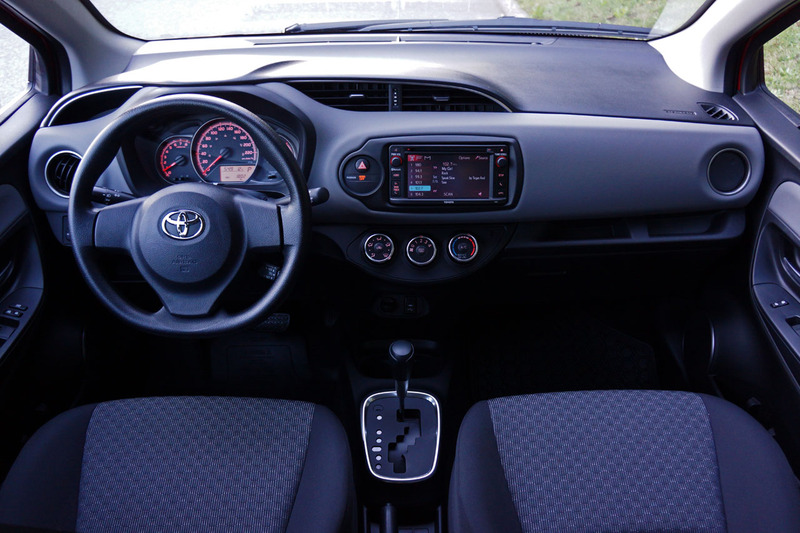 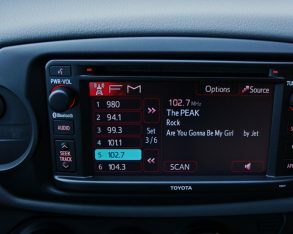 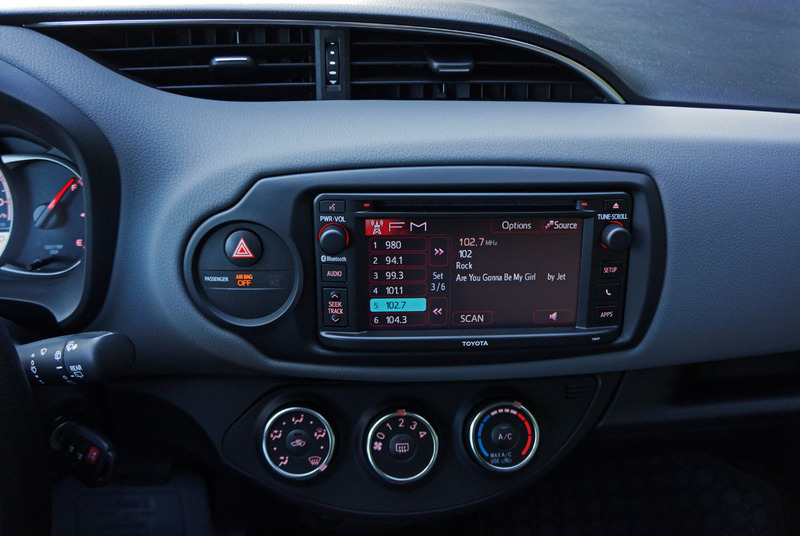 Additionally, being that even base Yaris models come with the display audio system, a navigation system including features such as Playmore Like This, the Gracenotes database, and short message/email read, reply and text to speech capability can be installed from the factory on any trim level for an additional $1,015, while dealer-installed accessories include a cargo net, block heater, rear spoiler and more. 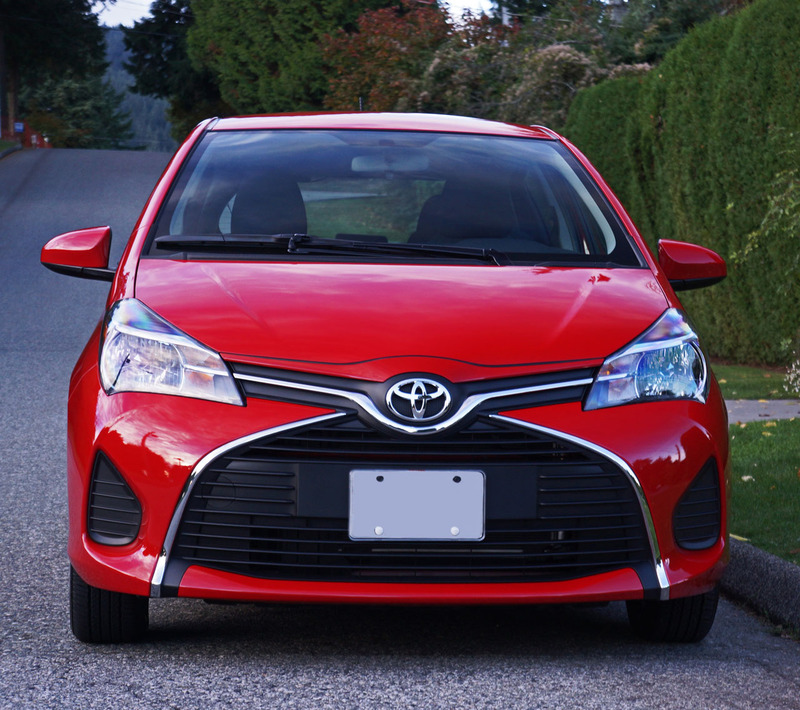 In summary, the 2015 Yaris Hatchback continues to deliver the same legendary reliability we’ve come to appreciate from Toyota’s subcompact cars, along with great drivability, a nicely finished spacious interior, ample features, loads of safety gear, and a newfound sense of European style that really sets this car apart from its peers, all for a price that keeps it totally competitive. 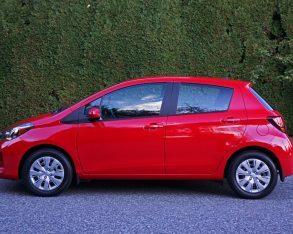 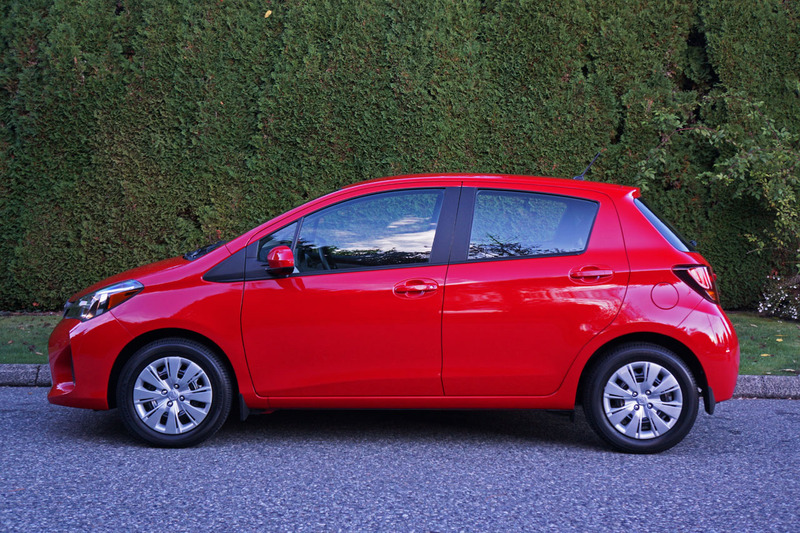 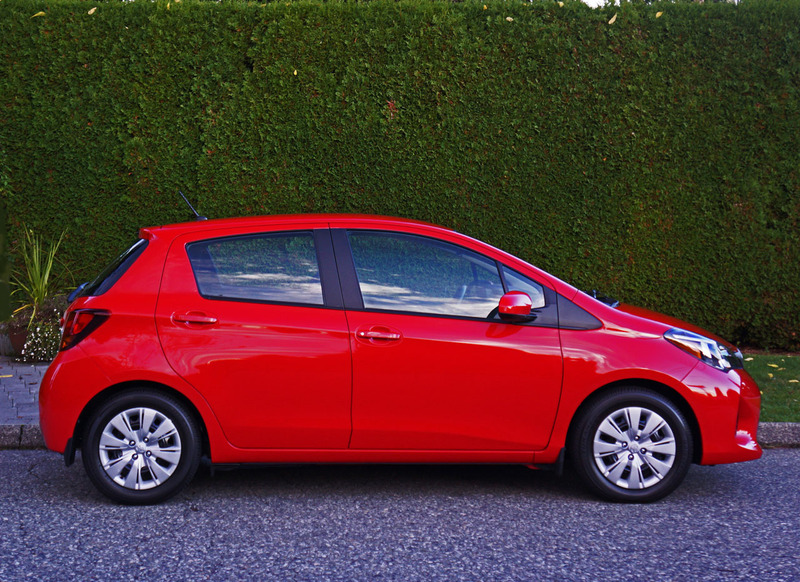 Therefore the Yaris remains a car that I can’t help but recommend highly.